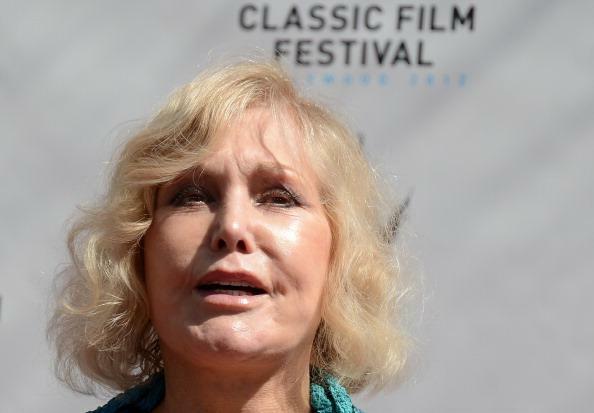 Kim Novak will attend a Cannes Film Festival screening of a restored version of Alfred Hitchcock's "Vertigo." The 1958 film classic is being shown as part of the Cannes Classics series. The 80-year old Novak will also take part in the festival's closing ceremony, where she will award one of the prizes. "Vertigo" was named the greatest film ever made by British Film Institute's Sight and Sound magazine in 2012, toppling "Citizen Kane" from its perch. The Orson Welles drama had been critics' and film historians' top pick for the past 50 years. Playing the object of James Stewart's obsessive affections gave Novak what is widely considered to be her finest role. It was a part she almost didn't get to play. Hitchcock originally cast "Psycho" star Vera Miles in the lead, but she had to drop out of the project after becoming pregnant. Novak first attended Cannes in 1959 for the presentation of the romantic drama "Middle of the Night." Her other roles include Billy Wilder's "Kiss Me, Stupid" and "Bell Book and Candle," which also cast her opposite Stewart.